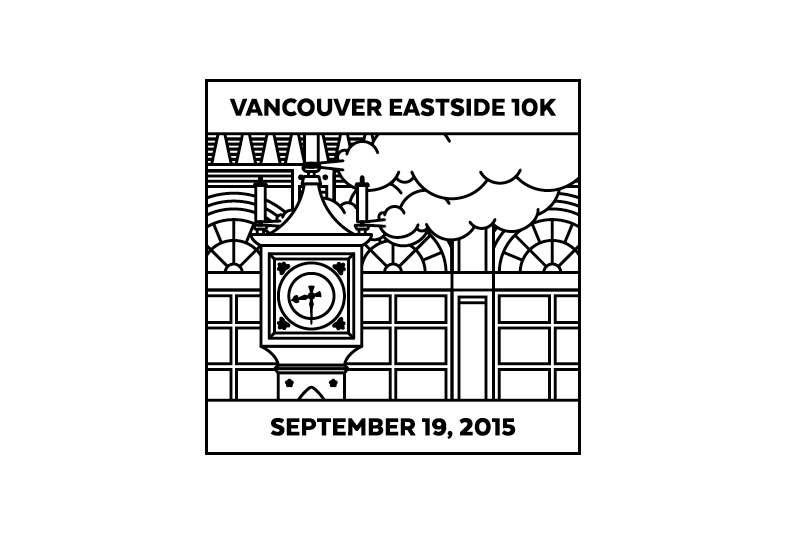 The Eastside 10k is a road running race in Vancouver, BC. 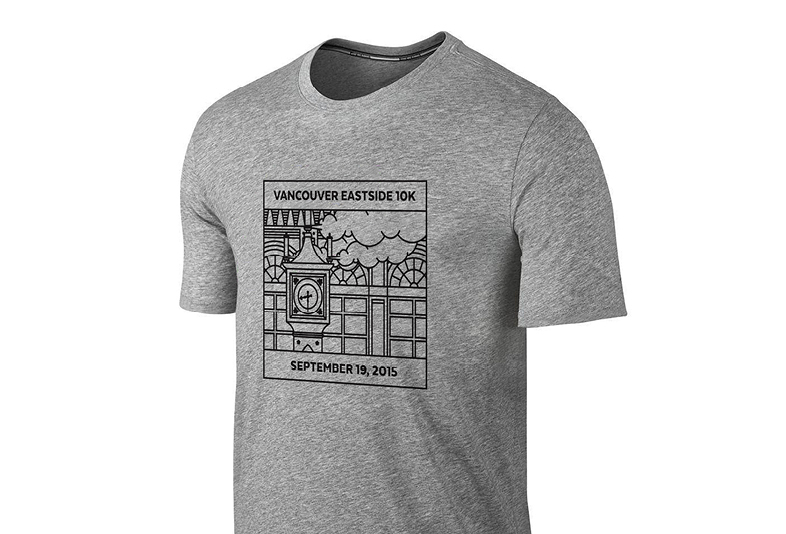 In 2015, the organizers sought designs for the souvenir race shirt for that year’s event, to be put to public vote. While it didn’t win the vote, this design did make the shortlist of three. 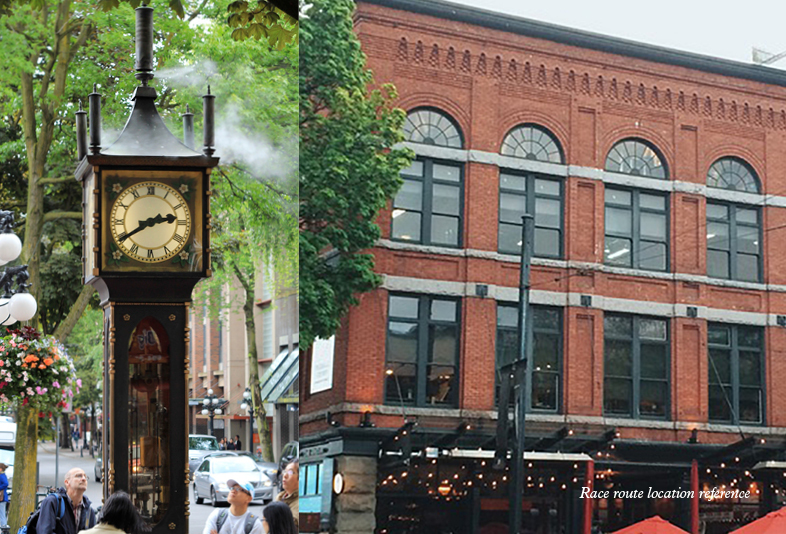 The solution takes the distinctive architecture from the route of the race course, along with the landmark Gastown Steam Clock, and renders them in a recognizable graphic style, using a clear layout reminiscent of race number bibs.